Plantation, Florida Real Estate | Susan J Penn l Best Agent l Buy & Sell South Florida Homes! Plantation, Florida is a well developed city in Broward County with their newest luxury development Hawks Landing or Plantation Acres with homes on acre lots. You can enjoy Plantations public parks, golf courses plenty of restaurants and shopping.The city of Plantation is located in Broward County, Florida, just 7 miles west of Fort Lauderdale and Las Olas Blvd. and 33 miles north of Miami. With a population of over 85,000, Plantation offers a thriving business atmosphere and quality education, as well as a cozy hometown feel that nourishes growing families and empty nesters alike. The city is served by six elementary schools, two middle schools, two high schools, and several private schools. Plantation residents also have access to the region’s colleges and universities, such as Broward Community College, Florida Atlantic University, Florida International University, Nova Southeastern University, and University of Florida. 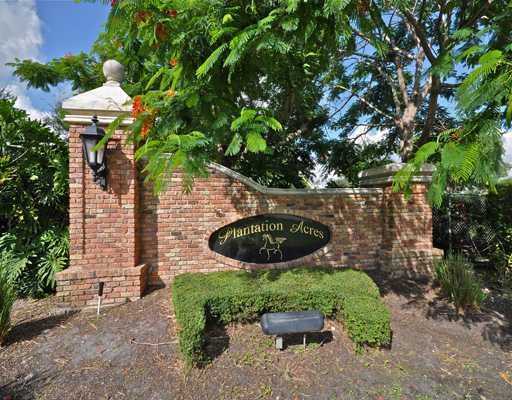 Close to Plantation is the city of Weston, Southwest Ranches, Davie, Hollywood, Aventura and Hallandale. Fort Lauderdale airport is conveniently close by. As part of the vibrant and exciting southeast Florida metropolitan area, the residents of Plantation have a million fun things to see and do right outside their doorsteps. Plantation itself is known for its many parks, recreation facilities, and beautiful Plantation Botanical Gardens, all of which provide the perfect environment for enjoying Florida’s many days of sunshine. Golfing in Plantation is a popular pastime at the area’s many challenging and fun courses, such as the Plantation Preserve Golf Course & Club, which is a18-hole regulation length public golf course, The Jacaranda Golf Club,is a private member-owned and member-operated club and the Ft. Lauderdale Country Club which features two 18-hole championship golf courses. Plantation residents also have quick access to the beaches of Ft. Lauderdale and other coastal communities, including Hollywood Beach, Pompano Beach, Deerfield Beach, and Dania Beach. In addition to Broward County outdoor recreation, Plantation residents also enjoy convenient shopping at the Broward Mall, the Fountains Shoppes of Distinction, and Sawgrass Mills, an amazing Shopping District, as well as many Ft. Lauderdale shopping centers. Ft. Lauderdale offers the classy and cultural Riverwalk Arts & Entertainment District, located in Downtown Fort Lauderdale, which is home to the Museum of Art, Fort Lauderdale, the Florida Grand Opera, and the Broward Center for the Performing Arts. The Riverwalk A&E also features a mix of fine and casual dining, and shopping at unique boutiques and art galleries.